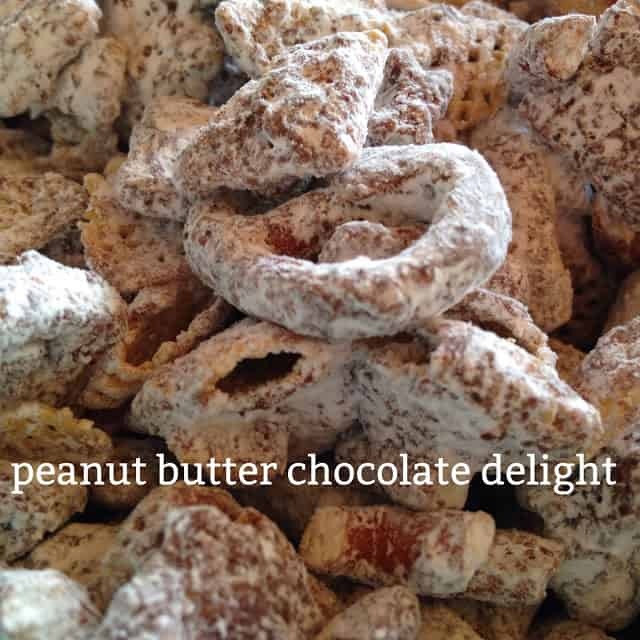 Peanut Butter Chocolate Delight Snack Mix, that kids and adults alike will love! 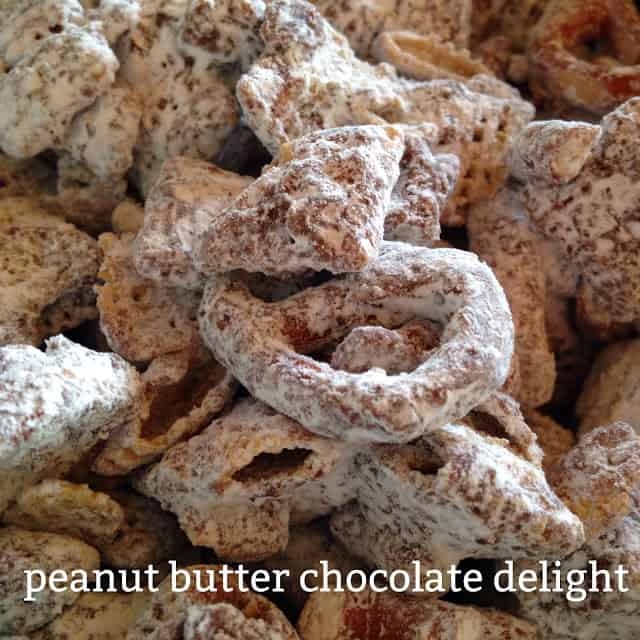 Let’s be honest here…you can never have to many recipes for “Muddy Buddies” I mean, really…what’s not to like…Chocolaty, Salty, Crunchy, Sweet and Peanut Buttery. I’ll raise my hand to that tasty mix any day! 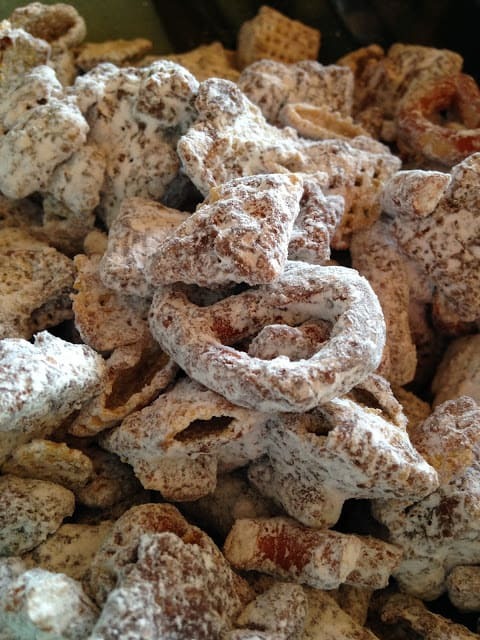 Set a big bowl of this snack mix out at your next party, during a football game or on the table during family game night and watch it get gobbled up. Chocolate and Peanut Butter Lovers Beware….One handful of this variation and you’ll be well on your way to eating the whole bowl. Looking for more delicious and satisfying snacks? Give these a try. BBQ Snack Mix and Munch a Bunch Snack Mix. In a large bowl, mix cereal and pretzels. In a medium, microwave-safe bowl, mix together butter, peanut butter and chocolate chips. Microwave on HIGH for 20 seconds; stir. Continue microwaving 10 seconds at a time until mixture is smooth. Pour over cereal mixture and stir until evenly coated. Spread evenly on lined sheets and refrigerate, uncovered 20 minutes or until set. Break into bite size pieces. Divide mixture between 2 one-gallon resealable freezer bags. Add 1/2 cup powdered sugar to each bag. Seal and shake until well coated. Divide candies between each bag and gently shake bags to mix. Store mixture in the refrigerator in air-tight containers. This recipe can be doubled, tripled, quadrupled…and so on and so forth. Chex Cereal.